Try following to sample application to see how Windows Azure Platform various product and service we can use and how to build highly scalable application. BidNow is an online auction site designed to demonstrate how you can build highly scalable consumer applications running in the Windows Azure Platform. In addition to Windows Azure Web and Worker roles, BidNow uses SQL Azure for relational data storage, Access Control for authentication andauthorization, Caching to store reference and activity data, OData services to extend reach, and a Windows Phone 7 client to demonstrate how to use cloud services from a mobile device. FabrikamShipping SaaS is a full end to end sample scenario which demonstrates how to use the Windows Azure platform for exposing an application as a service. 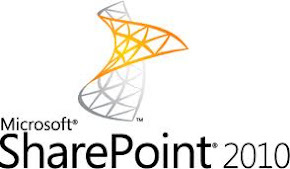 It features a number of advanced tasks such as developing long running processes, automated SQL Azure and Hosted Services provisioning, PayPal API integration, self-service federation and access control rules provisioning, account activation and social providers integration, Multi-tenancy, email notifications, MVC and Windows Identity Foundation integration, secure REST services via OAuth2, and much more. Visit the FabrikamShipping home page at http://www.fabrikamshipping.com: there you will be able to interact with a live instance of the demo and download the full source code of the solution.